Shipup co-founder Romain Ogiela discusses missed opportunities for enhancing the post-purchase experience, and how online retailers can make the most of them. Over the last decade, ecommerce has undoubtedly made shopping easier and more convenient than ever before — and yet, the delivery of online purchases continues to prove a pain point for many customers, with online retailers struggling to perfect the post-purchase experience. Stepping into this space are startups such as Shipup, which transforms delivery issues into improved customer relations. 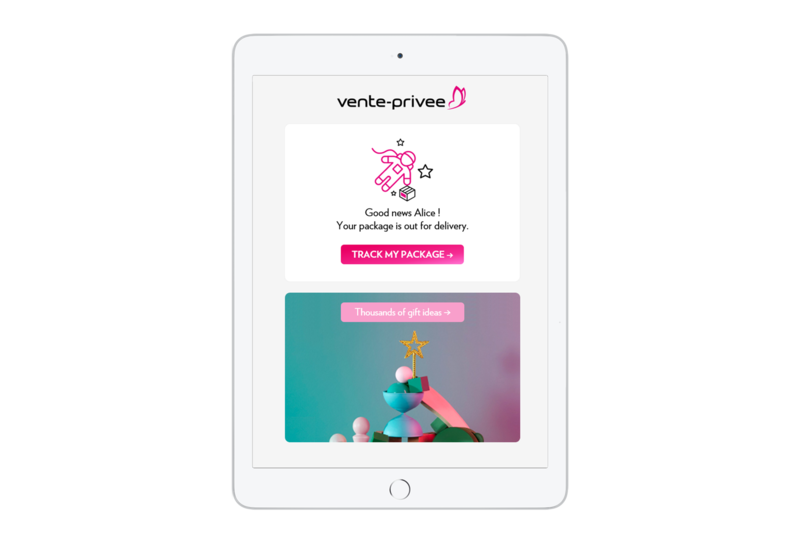 By tracking buyers’ parcels in real time, they are able to deliver highly personalised communications at exactly the right time. Co-founder Romain Ogiela joined our personalisation panel in Paris this September, to talk about the way in which they use data to pinpoint how brands should be talking to shoppers at every stage of the post-purchase journey. We caught up with Romain more recently to find out more about where the opportunities lie. Why did you set up Shipup? What need or gap were you looking to resolve in the delivery space? There is injustice in ecommerce: the first reason online retailers lose customers is delivery. Even if a merchant does everything right with an order, if anything happens during delivery, they might end up losing that customer. You only need to check Twitter to realise how delivery can make people furious about a brand. Shipup is connected with the tracking systems of shipping carriers, and tracks in real time the packages of our online retailers. At each step of the delivery process, our online retailers can choose if they want to communicate with their online shoppers. They can also choose the channel, the wording and the design of those notifications. Additionally, we create a tracking page on the website of our online retailers to generate traffic and clicks. With this proactive, branded and reassuring delivery experience, our online retailers boost customer satisfaction and repeat purchases, and they cut down the volume of tickets at customer support. What are the most common issues that retailers overlook, or fail to address, when it comes to the post-purchase experience? Online retailers manage to stay quite close to their customers until the package leaves their warehouse. Then the customer is often abandoned. 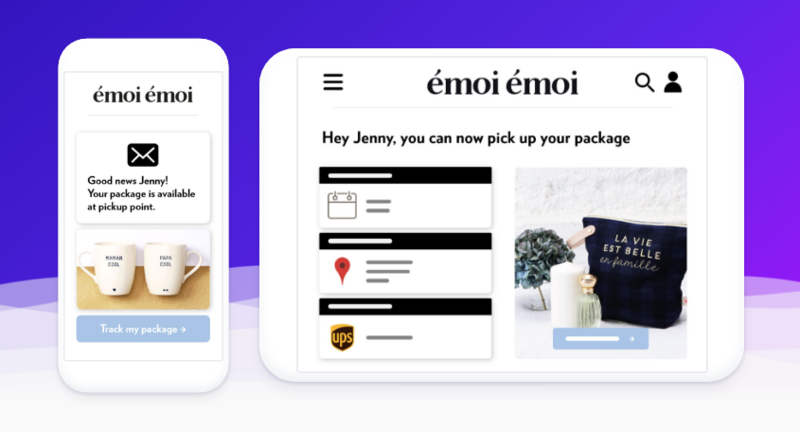 It’s only days later that the online retailer reconnects via surveys (which are often not sent at the right time — either too early or too late compared to delivery), and newsletters that are not often personalised. Satisfaction surveys are generally poorly used by online retailers, which is a pity because there is a huge value in feedback. For example, if you spot an unhappy customer early enough and call him, you actually have the opportunity to turn him into an ambassador for your brand and service. Very few online retailers are able to do that today. Returns are also a major problem for online retailers, which still has not been overcome. How do you use data to personalise the experience, and why is this so important? Data is at the heart of Shipup. The co-founders used to be Data Analysts at Dashlane, Drivy and Casper. Tracking the packages of our online retailers in real time, and crunching this tracking data, allows us to reach out to online shoppers at exactly the right time, with exactly the right words. Moreover, Shipup monitors all interactions between online shoppers and their delivery notifications, their tracking page, their delivery survey… This is necessary if you want to adjust and offer the best post-purchase experience. What’s next — how will you and the team continue to innovate in this space? For now, we focus on delivery in the post-purchase field. But we want to launch more features in this vast field. Our goal is that, in a year or two from now, our online retailers will be able to offer a comprehensive, branded and reassuring post-purchase experience with Shipup. Returns are a huge friction point in the post-purchase experience, for example. It’s really surprising how manual the return processes of most online retailers are. Returns are definitely a field in which there’s room for Shipup to make a difference. Customer surveys are also a huge opportunity. Shipup already collects simple feedback at delivery but we can see ourselves doing much more in this area, with a more comprehensive tool for satisfaction surveys. Our strength here is that we have the best timing: we know when the package is delivered which means we can send surveys at the right time, not based on a random number of days after the order was placed. And what, in your opinion, is the future of delivery more broadly? The more I learn about delivery and logistics, the more I’m puzzled about where the market is going. Sure there are very quick delivery services inspired by Amazon Prime, but the ecommerce of Amazon is not a profitable business, so should their move set a goal for the industry? Because the rest of the industry has to remain profitable. Drones are also a huge thing but clearly, a sustainable business model behind mass drone delivery has still to be discovered. One thing I can certainly see is happening is the multiplication of startups and companies offering various delivery services (within two hours, at pickup points, at home after work, for fresh food/flowers, etc). Online retailers are adopting more and more varied delivery methods to adapt to the diversity of needs of their online shoppers.